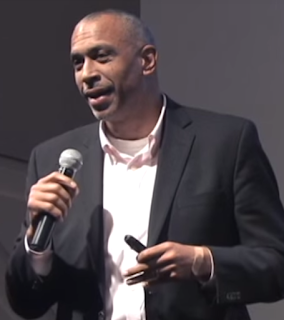 Pedro Noguera has been an important voice in the areas of school reform, race, and poverty. He has been a dedicated warrior to address the inequity that young people face, especially low-income youth of color, in learning opportunities. Pedro worked with others to found the Broader, Bolder Approach to Education initiative. Today, Pedro is a Distinguished Professor of Education at the Graduate School of Education and Information Sciences at UCLA. 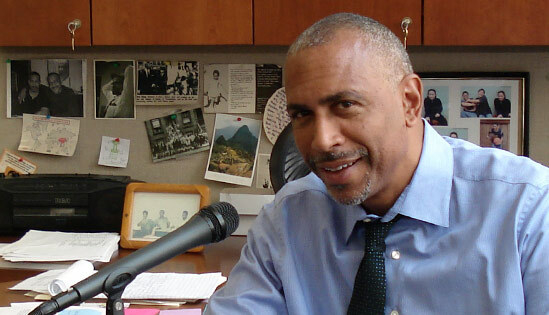 Prior to his moving to UCLA, Pedro served as a tenured professor and holder of endowed chairs at New York University (2003 – 2015), Harvard University (2000 – 2003), and the University of California, Berkeley (1990 – 2000). He was a member of the Berkeley School Board from 1990-1994. Pedro has been a strong advocate for the afterschool movement and a friend to the LIAS project. He was a speaker at our HKL II conference and provided a video interview on the LIAS principles. Below we asked Dr. Noguera a few questions for our LIAS blog. We were excited about his return to the west coast. Pedro will also be a speaker for our upcoming HKL V conference. Q: You are returning to the west coast and will be an education professor at UCLA. Why did you make this move? A: I’m making the move back to the west coast and to UCLA for personal and professional reasons. All four of my older children live on the west coast and I want to be closer to them. Additionally, I have many close colleagues at UCLA and I'm looking forward to working within a community of scholars rather than in isolation as I have at NYU. Q: You will be presenting again at the upcoming How Kids Learn conference. Was there a particular reason why you agreed to return to address the attendees at HKL V? A: I am a big fan of the How Kids Learn conference because I think it's focused on the right questions. Too often, we expect kids to adjust to the way schools teach, rather than adapting the instruction to their learning needs. By focusing more intently on the needs and interests of the learner, we could be far more successful at engaging them in powerful educational experiences. This is what I believe the conference supports and encourages. A: Meaningfulness, I think is really important, especially for kids who come from low-income communities, and kids who come from families where no one has gone to college. If they don't see the relevance and understand why what they're learning is meaningful and important, they're more likely to become disengaged. Many times middle-class kids will learn something simply because they're told by adults, this will get you into college. But for someone who is not necessarily on a path to college, just saying you need this to go to college is not enough. You actually have to show them why learning something like algebra or biology or reading Shakespeare, why is that important? What does that have to do with their lives? And teachers who can't make those kinds of connections for their students, often fail in being able to address their learning needs. I would say similarly that education always has to expand horizons for young people, to expand their sense of what’s possible. One of the things we're constantly working against, again particularly with young men of color, is the negative and pernicious effect of stereotypes. Stereotypes which lead them to believe they have a better chance of being a ball player, or a rap star, than of being a scientist or a writer, or being an elected official or lawyer. Part of expanding horizons means giving concrete experiences, which allow them to see and learn about how knowledge is applied in the real world, in professional settings, and why in fact that is a course of action and a career path that they may want to choose, and most importantly, what does it take to get there? So that kind of work, of expanding the sense of what's possible, of exploiting the stereotypes, and of tapping into that deeply seeded sense of identity is essential to the work of really capturing the imagination of young people. How Kids Learn V: For more information and to register, go to www.howkidslearn.org. The "HOW" Versus the "WHAT"
Dependable Funding? It's Up To Us!